Taking a bit inhale of peppermint as well as swiping it on your temples or back of your neck before a workout gives you such an invigorating feeling that you can’t help but be motivated to get your sweat on! I love to apply a drop of oil to my hand then press my thumb in the oil. I’ll press my thumb to the roof of my mouth for 5-15 seconds and then take a big inhale in with my mouth open. It’s such an invigorating feeling and really helps to not only freshen my breath but also wake me up instantly! Because my diet is plant based and I make a point to get in lots of fiber, I don’t usually have constipation but every now and then it still happens. Drop 1-2 drops in the toilet and sit down. It helps to really open everything up if you know what I mean. Plus, it just smells fresh! 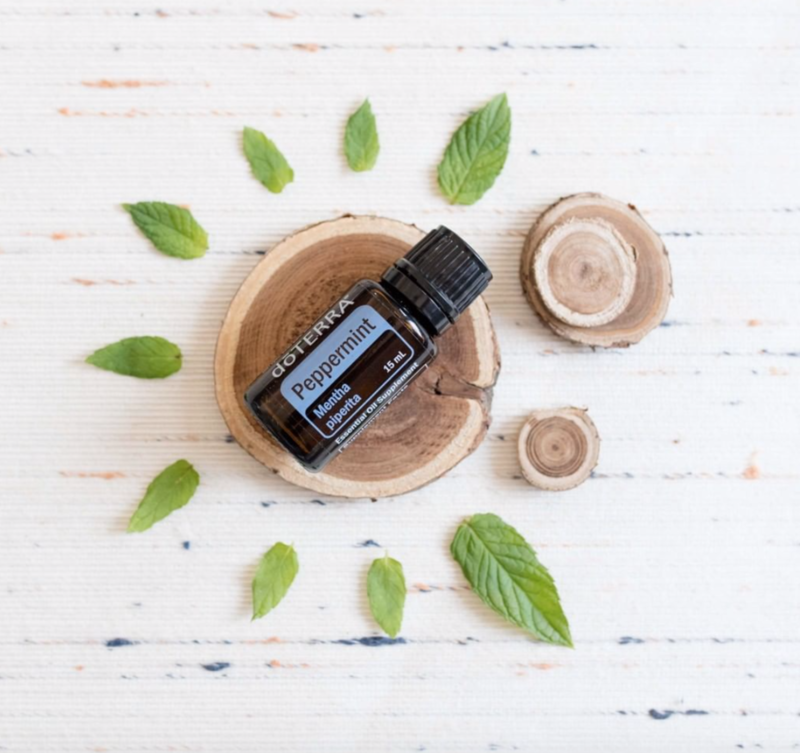 Depending on the size of the batch, add your drops of peppermint (I recommend starting with only 1 drop then adding from there). These brownies are the perfect addition to any meal or to just eat by yourself! Ready to feel like you’re at a spa AND get everything cleared out of your nose? This is the perfect way to do it! I drop 1-2 drops on my shower floor a little but away from the water and let it steam up. Enjoy a relaxing, invigorating, and cleaning shower! What are your favorite ways to use peppermint oil? Share with us in the comments!